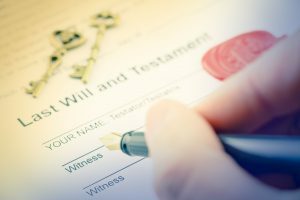 Have you written a Will and is it up-to-date? Many people write a will, leave it in a drawer and then as time and circumstances change, forget to update it. This can cause problems when that person dies as information may well be out of date. Phil and Brenda are specialists in matters relating to wills including probate, trusts and inheritance tax planning so don’t leave it any longer – give them a call. If you need a will written, then come and see us. It is a very straight-forward process and the finished document will provide you with not only a legally binding document but also peace of mind! When was the last time you updated your will? More than 5 years ago? Have a read through your existing will to ensure that all details are up to date. If there is something that needs changing then please contact us to ensure it is up to date – the sooner the better. None of us know when our Will will be required but it makes good sense to sort your will out today. If you need to apply for probate to deal with a loved one’s estate, then we can help. We can make the process as smooth as possible in a time that may feel chaotic and emotional. Once you have been granted probate, you will be able to organise and resolve the financial affairs of the deceased’s estate. Price information.